The tendrils are reminiscent of whips used in the flagellation of Christ. 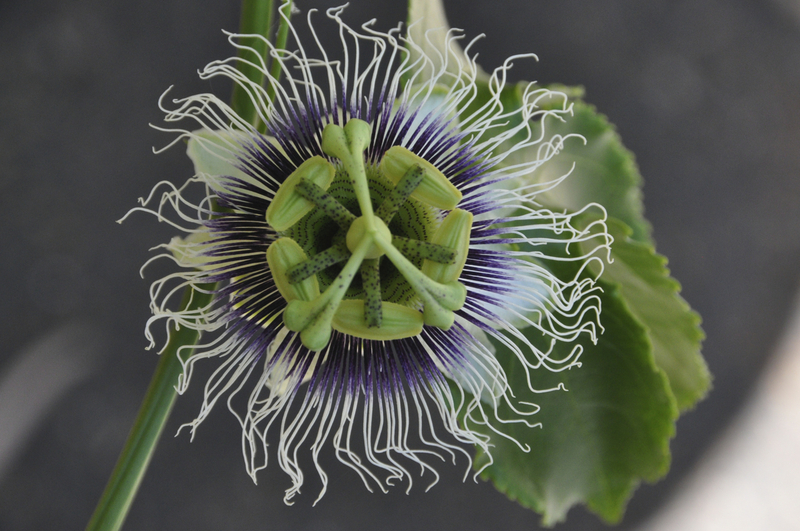 The ten petals and sepals represent the ten faithful apostles. The flower’s radial filaments, which can number more than a hundred and vary from flower to flower, represent the crown of thorns. The 3 stigmas represent the 3 nails and the 5 anthers below them the 5 wounds. 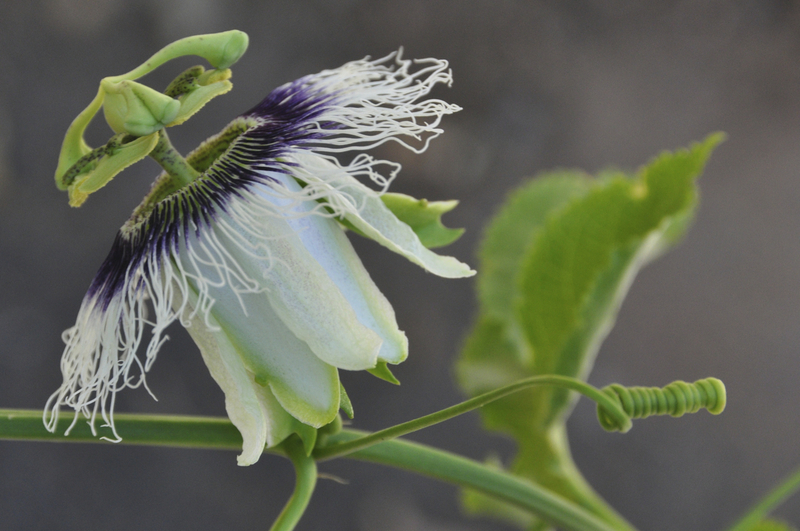 So on your next visit or pilgrimage to the Holy Land plan to taste a local passion fruit. 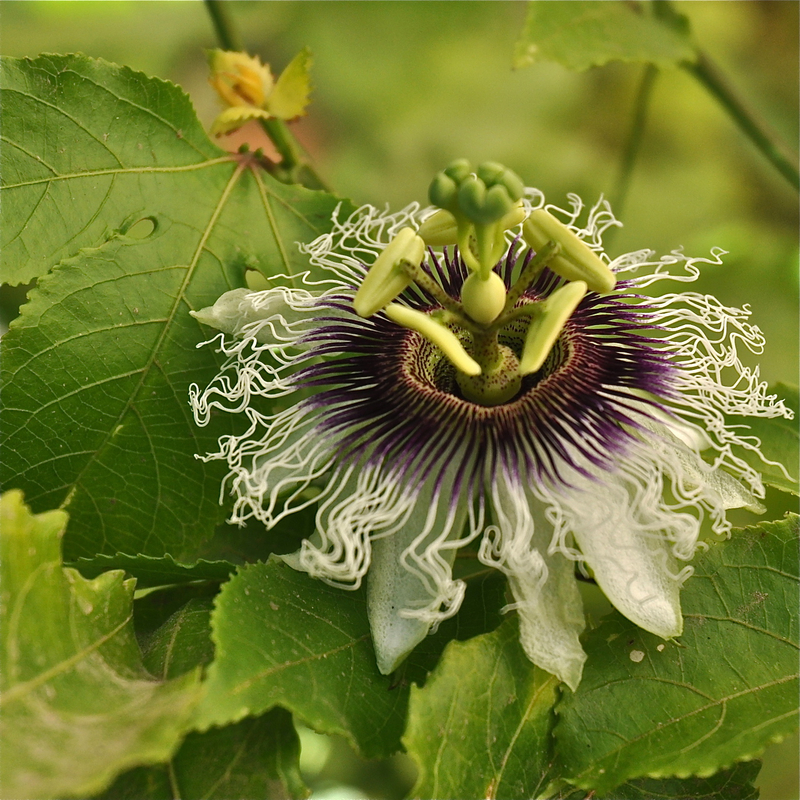 This entry was posted in Nature and tagged passiflora, passion flower on September 11, 2013 by Shmuel Browns.